If you live in Quebec, Ontario and most regions of Canada look for strains that will finish in the month of October. For Quebec or Ontario look for cannabis strains that finish early or mid October for best results. Acapulco Gold is the next generation of marijuana. Like the original namesake the Acapulco Gold flowers with fat colas, flecked with beautiful reddish brown calyx, each covered with beautiful crystals of THC. The smoke has an intense fruit cocktail flavor that lingers for hours. This is a Sativa dominant strain that offers a long lasting high, balancing relaxing stress reduction with a real upbeat effect. Acapulco Gold far surpasses the rhapsodized smoke of days past. Smells will be berry, floral, burnt rubber background on the Pineapple Skunk leaning phenos and straight gas, watermelon to rubbing alcohol. and my personal favorite which is dominant on this strain..(peach flavored baby powder) she is a great strain for breeding projects. These plants stink in veg and really emit odors as they kick into flower. Precautions should be taken. Flowering times go from 8 to 10.5 weeks depending on phenos. Expect to see dense and colorful buds glazed with resin. We crossed our favorite fruity flavored Blueberry marijuana strain with our award winning BC Big Bud to create a tasty toker treat. Jordan of the Islands Blue Bud is the most potent indica. It’s ideal medical marijuana because it has powerful pain relieving effects. Recreational stoners will very much enjoy the sedate couch locking buzz. 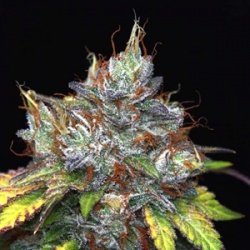 Blue Bud is a short squat bushy cannabis plant, growing between 3 and 5 feet and is capable of producing between 2-4 ounces of cream cannabis. Blue Bud genetics make it ideal for people seeking a classic cannabis type. Very promising strain which can easily take the place of current bestsellers. Blue Cindy from G13 Labs Seeds is a perfect combination of Sativa and Indica genes – Sativa dominant plant with Indica growth pattern. Stable, powerful, quick and extremely tasty variety. This amazing lady has some crispy flavour with hints of pineapple and black forest fruits. Exhalation will reveal combined smell of citruses and pine. Cross of a Cinderella 99 and Blueberry produces massive and filled with resin buds fully covered with beautiful trichomes. Long lasting effect is truly euphoric and leads into psychedelic high. Perfect for day time use, evening with friends or chilling in the garden. Perfect perfection.